Description: Simply stated, these tops are awesome! Show your team spirit with this cozy fleece hoodie for women. 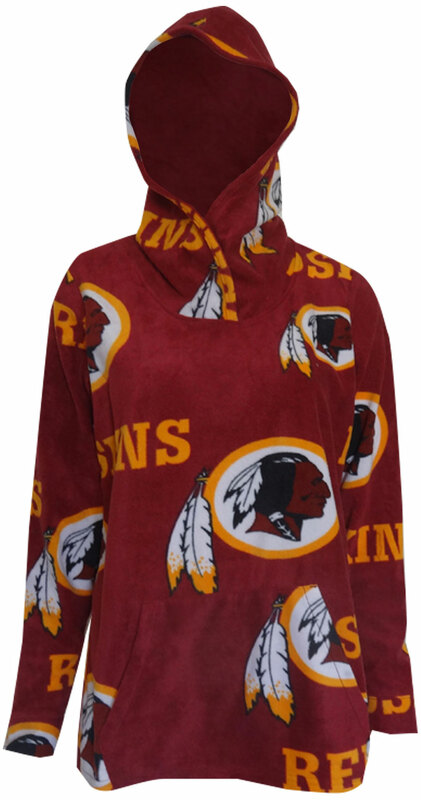 This pullover is covered with the Washington Redskins logo on a signature background. There is a front pouch pocket to keep your hands extra warm! This is the best fan gear for ladies around!